for the first night of staycation weekend, we thought it would be fun to treat ourselves to a nice dinner and share some wine. after going through a few options, we finally settled on cafe max, the beautiful terrace restaurant in max mueller bhavan. perusing our menus. bangalore, india. october 2015.
with many people away for the holiday weekend, we enjoyed traffic-free streets and a practically empty restaurant on friday night, and we spent a lovely few hours at cafe max. we split a bottle of merlot between the three of us and caught up on life stories and travel adventures while enjoying the lovely space and the occasional burst of crackers in the distance. 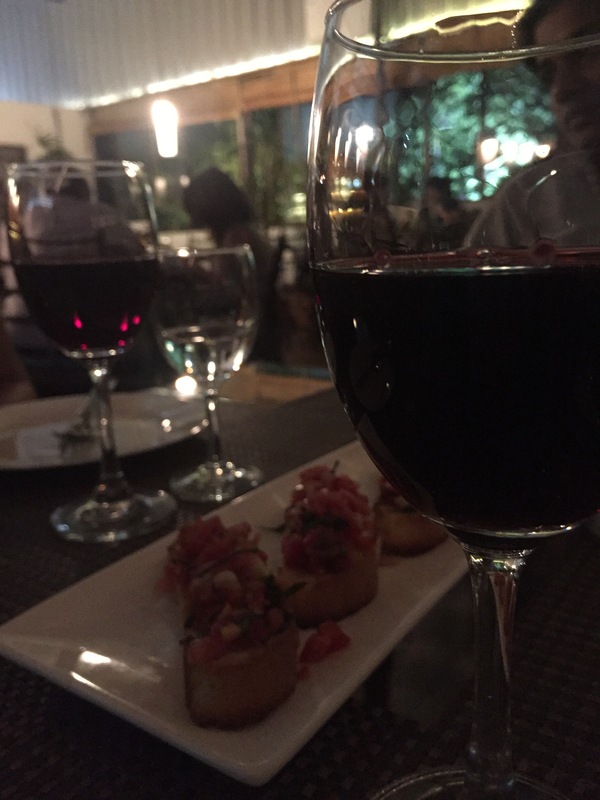 wine and bruschetta at cafe max. bangalore, india. 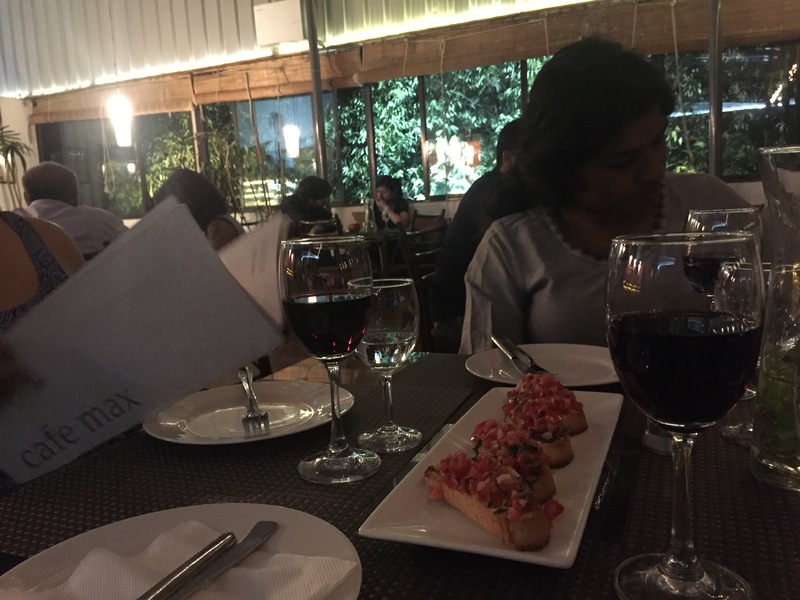 october 2015.
we started our meal with the bruschetta, which was very delicious, and followed that up with our mains: butterfish “frankfurt style” for sneha; spaghetti bolognese for me; and schnitzel “hunter style” for shonali. we got the wrong fish for sneha – she actually wanted the crusted fish “spanish style” – but it was still pretty good. my spaghetti was delicious, and i finished every last bite. shonali’s was alright, but i think she wished she had gone with the meatloaf instead. 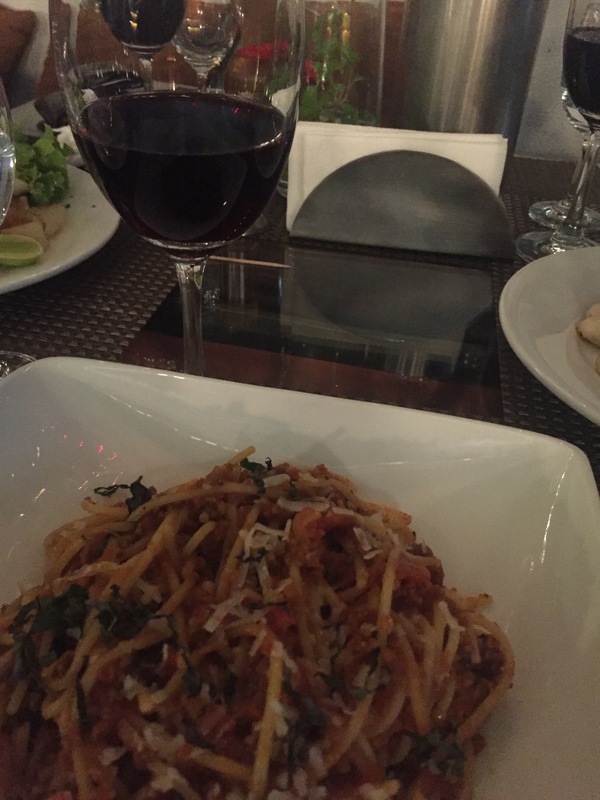 spaghetti with wine. bangalore, india. october 2015.
but dessert is really what stole the show. i ordered a triple chocolate pecan cake — it was outrageously delicious but also super rich. i got distracted by the promise of pecans and didn’t think about the consequences of the triple chocolate; as a result, i was unable to finish the full piece of cake. between the three of us we nearly polished it off, but it took a lot out of us. even so, it was still a great night. i got to spend some great quality time with sneha and shonali, and we had a wonderful evening eating, drinking, and making merry. location: no 716-c, cmh road, 3rd floor, max mueller bhavan. 1st stage, indiranagar. bangalore – 560038.
landmark: max mueller bhavan, across from mk retail. serves drinks: yes, only beer and wine. wifi available? i’m not sure. what we ordered: one bottle of merlot – i think big banyan [drinks]. bruschetta [starter]. butterfish “frankfurt style”; original bolognese with spaghetti; schnitzel “hunter style” [mains]. triple chocolate cake with pecans [dessert]. our bill: somewhere in the neighbourhood of rs. 3,000, which sneha and i split. we had agreed that she would buy the wine and i would buy the dinner. fun facts: they have some great murals on the exterior walls that i love admiring whenever i am in the area. to keep in mind: smoking is not allowed, which you know makes me happy. will i go back? definitely. it’s a great setting for a relaxed dinner with friends or even for a date night. 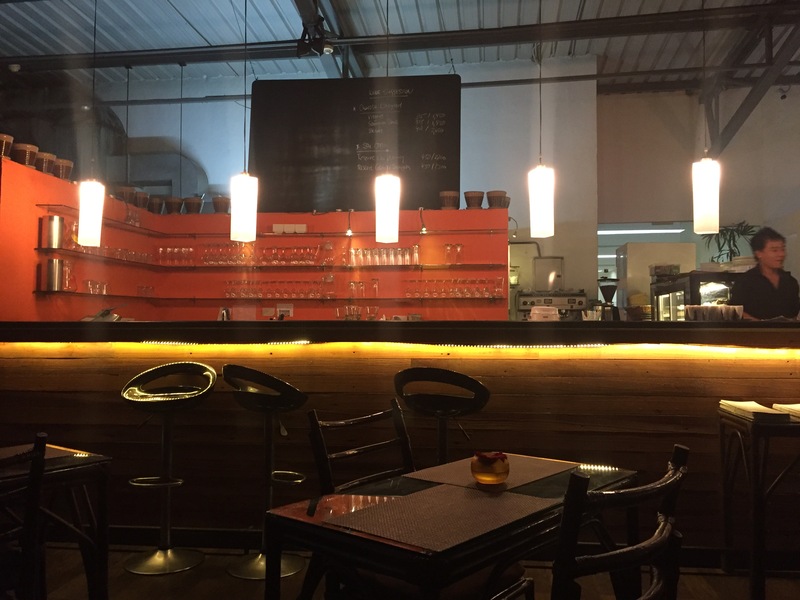 have you ever tried cafe max? what did you think?